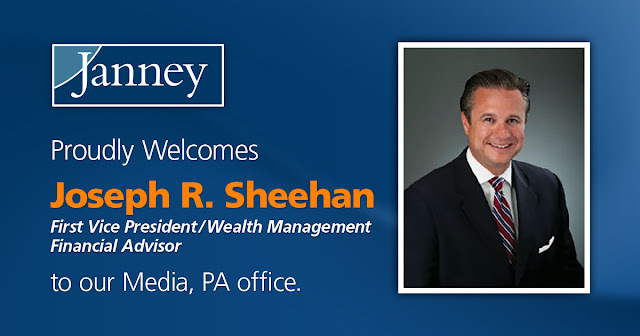 PHILADELPHIA, PA – April 24, 2017– Janney Montgomery Scott LLC (“Janney”), a leading full-service wealth management, financial services and investment banking firm headquartered in Philadelphia, PA, today announced that Joseph R. Sheehan, First Vice President/Wealth Management, has joined Janney’s Media, PA branch office. Sheehan was previously affiliated with Merrill Lynch. 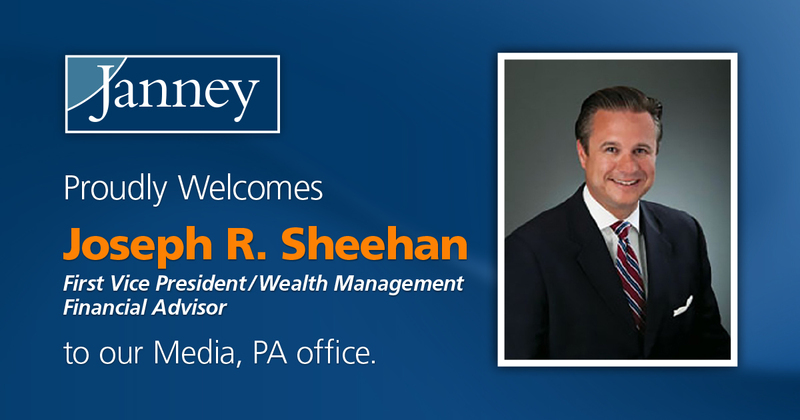 Sheehan, a 22-year Merrill veteran, manages over $100 million in client assets. He graduated from Temple University, and is active in a number of civic and charitable organizations, most notably volunteering with the Bethesda Project, delivering meals to the homeless throughout Philadelphia. Janney’s Media, PA branch office is located in the Rose Tree Corporate Center, 1400 North Providence Road, Suite 400, Media, PA 19063.